Finalist of “Eurovizijos Nacionaline Atranka 2019” Monika Marija has withdrawn her song “Criminal” from Lithuania’s national final this Saturday. She has decided to take part in the competition only with her other song “Light On”. Her second song “Criminal” will be replaced by Allen Chicco’s “Your Cure”. I’ll be very grateful to the jury, if you don’t give me points in this semifinal, and I ask the audience to save their money and I sincerely ask you not to vote for me and my song “Criminal” in the second semifinal. I am very happy that my work has received your attention and support, this Saturday I will sing your song “Criminal” with all my heart! And with “Light On”, we will meet in the finals. As she still managed to qualify at last week’s semi-final but prefers to focus on the votes for her entry “Light On”, Monika Marija has today announced her withdrawal of “Criminal”. Allen Chicco, who missed out on qualifying from the second semi-final, will take her spot and will now compete in the final with his entry “Your Cure”. Among the finalists is Jurijus who is facing a possible disqualification from the final as his entry has been available online since last spring. 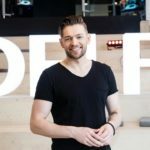 Lithuanian national broadcaster LRT is still investigating this issue and has reported it to the EBU, which will have to evaluate if there is any breach of rules. 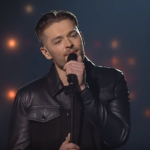 The final will take place this Saturday with 8 acts competing to represent Lithuania at the Eurovision Song Contest 2019 in Tel Aviv.